In the 1970s many young or newly arrived winemakers took up the challenge of growing, making, and marketing Zinfandel and other grape varieties that were neither expensive nor chic. Microbiologist-turned-winemaker Joel Peterson decided to make Zinfandel because he wanted to make wine the old way, the “French” way: using grapes from old vines that were dry-farmed and fermented in open-top vats. In 1976 Peterson made his first bottling of Ravenswood wine with purchased grapes and using space in a mentor’s winery. By 1991 he had earned enough from his highly acclaimed wines to build his own winery in Sonoma. 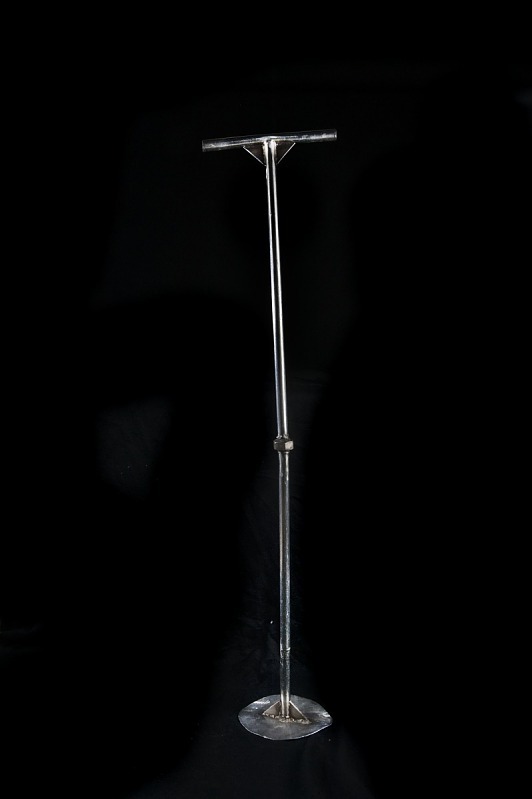 Joel Peterson used this aluminum tool to punch down the cap on batches of fermenting grapes. Gift of Joel Peterson. Joel Peterson standing over an old open-top redwood tank, punching down the cap on his first vintage of Zinfandel. 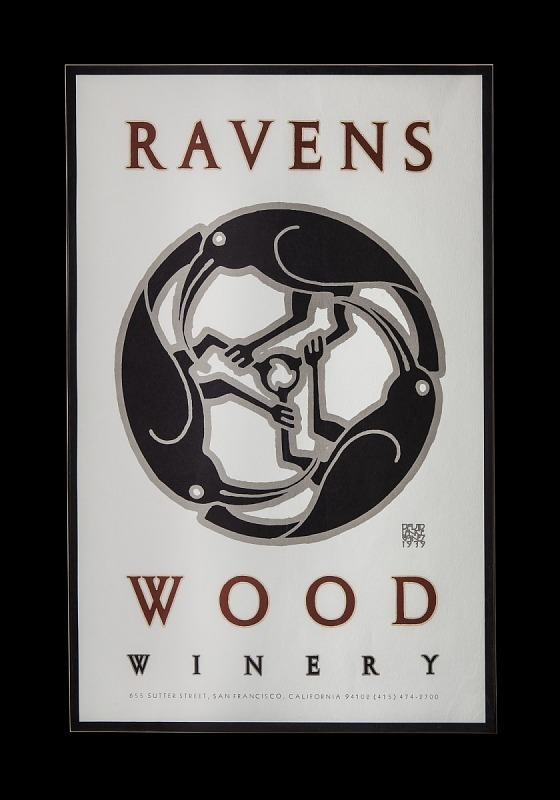 The Ravenswood logo, designed by David Lance Goines, shows three ravens, the vineyard protectors who cawed at Peterson during his first harvest. The logo is so well known, it is a popular tattoo.